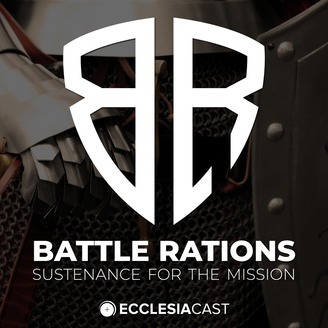 Welcome to Battle Rations: a podcast created with one goal, one purpose in mind: providing Catholic men with the sustenance needed to fight the good fight, resist the enemy, and keep pushing forward into the breach. Inspired by Bishop Thomas J. Olmstead's apostolic exhortation "Into the Breach" - the mission of Battle Rations is realized in building fraternity with Catholic men. 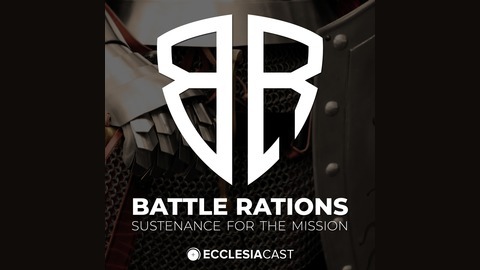 Twice a month, the Battle Rations podcast will share the thoughts, strategies, and practical steps that influential Catholic educators, speakers, authors, artists, musicians, business professionals, priests, and laymen from around the world are committing to every day, every month to strengthen their relationships with the Lord and His Church. For additional details or to join the brotherhood, visit http://www.battlerations.com. Today, brothers - I bring you Battle Rations' second First Strike Ration. Now, brothers - I'd love to hear from you. What have you been exposed to that gives you sustenance? What can you share with your brothers? What men organizations need to be highlighted for their resources? Contact us! We'd love to feature your recommendations! Join the battle and support our efforts with Battle Rations! Subscribe to the Battle Rations podcast and rate us on iTunes. Your subscription and rating will help us get the word out to Catholic men around the world. Connect with us Facebook. Like our page for the latest Battle Rations news and updates. Visit battlerations.com and join the brotherhood. Share the podcast with your Catholic friends and family. Pray for us. Pray for Battle Rations and the Battle Rations podcast. For additional details or to join the brotherhood, visit battlerations.com.